In celebration of Swarovski's 120th anniversary, this is the first significant book on the premier maker of luxury crystals' rich collaborative history with fashion designers, filmmakers, artists, and designers. Swarovski's influence extends from haute couture collaborations to architecture, design, jewelry, and other disciplines in a rich display of cultural exchange with the most eminent designers of our time. The marriage of couture and crystals began at the House of Worth at the beginning of the twentieth century and continued for decades to follow with the leading fashion designers of our age, including Prada, Alexander McQueen, and Riccardo Tisci, who embellished their collections with Swarovski crystals season after season. Swarovski's collaborations have expanded to partnerships with architects and designers, including Tord Boontje, Hella Jongerius, and Yves Behar, and to compelling moments in cinematic and performance history. 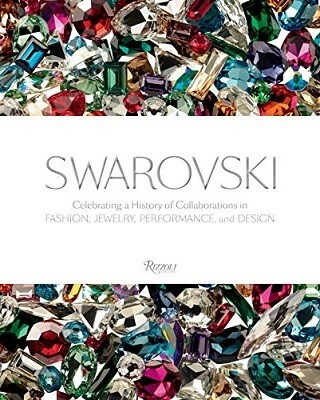 This stunning book features essays that position Swarovski as patron and innovator, as well as a foreword by Nadja Swarovski, largely responsible for expanding the company's fashion profile. "Showcasing never-before-published contemporary and archival photographs, this beautiful volume tells for the first time the illustrious tale of Swarovski's 120-year heritage and the brand's cutting-edge prescence today." "[Swarovski] presents Swarovski's extraordinary contributions to the creative industries, which include the creation of the innovative Aurora Borealis stone and the dazzling Oscars Curtain. . . Showcasing never-before-published contemporary and archival photographs, this beautiful volume tells for the first time the illustrious tale of Swarovski's heritage and the brand's cutting-edge presence today."